Why Do Cats Sit in the Bread Loaf Position? It’s a question that has plagued mankind since the ancient Egyptians first started worshiping cats! Okay, so maybe “plagued” is a little strong, but seriously, have you ever wondered why they love “loafing” around? I have, so I looked into it! Find out what I discovered about why cats love to sit in the bread loaf position! Plus, check out some adorable pictures of loafing cats! Most of the time, trying to figure out why cats do what they do is a bit of a lost cause. Have you ever noticed your cat staring for what seems like hours at a spot on your ceiling, only to have them give you a funny look and walk away as soon as you follow their gaze? Or watched them go from sound asleep to ping-ponging around the living room at the speed of sound in the blink of an eye? They’re mysterious creatures to say the least! No wonder they’ve been worshiped for so long by some cultures and feared in others. Among cats’ many mysteries are the positions in which they sleep or sit, included the iconic bread loaf position. Before we learn more about that position, we need to talk a bit about your cat’s anatomy. Related:Ear Expression: Why Do Cats Put Down Their Ears? Our feline friends’ anatomies do differ from us greatly, which allows them to do things we would find uncomfortable, painful, or downright impossible. For example, I’ve never tried to jump six times my own height in one go, but I think I can safely assume it wouldn’t end well – or at least not with any dignity. A single night sleeping on the couch will leave most humans over the age of 25 with a stiff neck – while a cat can somehow appear to be sleeping with its head on backwards and suffer no ill effects. While some sleeping positions seem logical – stretched out as far as possible on a hot day, or curled into a tight ball with their tails over their noses on a cold one – others leave just a few unanswered questions. One sleeping position that seems strangely to be universal to most cats is the famous “bread loaf” position. Garfield comics made this one even more recognizable, but anyone with a cat likely knew about it long before the appearance of that lasagna-loving orange tabby came along (incidentally, I don’t advise feeding lasagna to your furbabies, no matter how much they beg). Here’s why cats love to “loaf” around! The main reason for this loaf position is likely the same as the reason for sleeping tightly curled up. Cats love to be warm. Some days I swear mine are going to cook themselves lying in sunbeams around the house – and they have high body temperatures. Cats’ extremities, however – ears, legs, tail, etc. – tend to be colder than their core, as blood has farther to pump and the surface area of the skin is greater in comparison to body mass at these points – which allows for greater heat loss. In addition, the pads of their paws are not covered in fur, and therefore not as well-insulated. By tucking their feet and tails underneath them, cats can generate and conserve a great deal more body heat while also protecting these extremities from outside hazards. Physically it’s also a comfortable position, as their spine is neutral and the posture doesn’t require much energy to maintain. A loafing cat is a relaxed cat! Incidentally, this position is a bit of a compliment to you if your cat does this, because they will usually only loaf like this if they are relaxed and happy! Just make sure they are relaxed – if their body seems tense, back is hunched, or their head is pressed into the surface on which they are lying, this could be a sign of pain or serious illness and it is best to contact your vet as soon as possible. 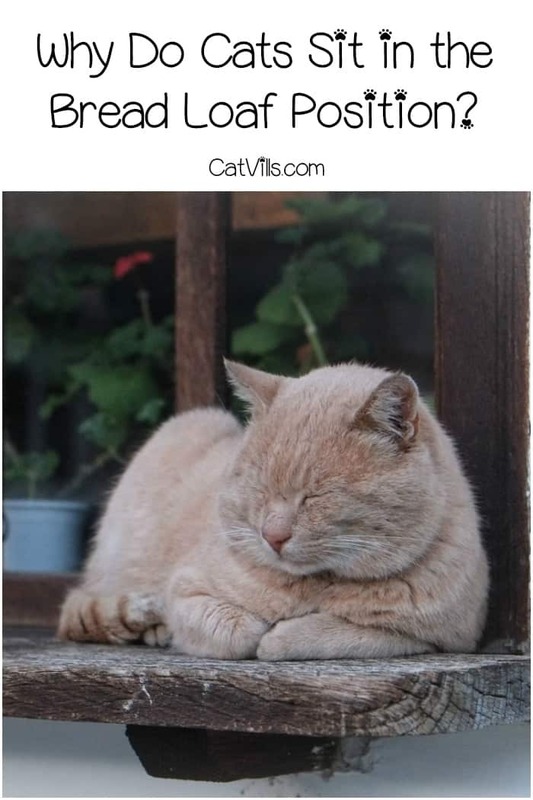 A relaxed loaf position means that your cat feels safe and content, and they trust they will not have to make a quick getaway (after all, their feet are folded up underneath them). It’s also a stable position that allows your cat the luxury of basking on a raised surface without the likelihood of accidentally rolling over, falling off, and hurting themselves (not that your cat would ever do that – on a completely unrelated note, ever notice how cats coincidentally need to rapidly bathe themselves after a potentially embarrassing incident?…). The absolute best part about the loaf position? How unbelievably cute it is. If you’re ever feeling down, Google “cat loaf on glass” or some variation thereof – those toe beans are guaranteed to make you smile at least a little. Does your cat love to sit in the bread loaf position? Tell us the other funny things you kitty does! This was a super interesting read! I’ve always wondered why they sit like that. I’ve always thought it looked uncomfortable. I didn’t realize that position was called the bread loaf position! I learn something new everyday! This is some great info for my cat loving friends! 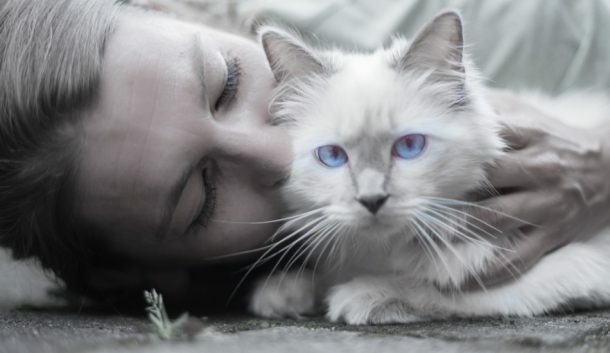 We have many friends and family who might be interested in knowing a little more about their feline family members. This was an interesting post! I think my dogs sleep in a different position, not as compact. I will start observing these positions more closely. This was interesting to read. I never gave it a second thought – I just assumed it was because it was comfy for them to sit like that. How interesting. I’ve had cats my whole life, and have three currently and had no idea. But they always sit like that! I’ve always wondered about this ever since we got Moxie! She loves sitting in a loaf position as well. I think it’s super adorable! How adorably amazing is this! We’ve adopted kitties in the past who would do this all the time and it’s really super cute once they get in this position and tuck all their paws in! I had no idea that was called the bread loaf position. I could definitely never sit that way! Loved this blog post. I had no idea cats do this position but it makes total sense. I wish humans could ball up in a bread loaf position to keep warm. I don’t have a cat but I feel like they are so relaxed when sleeping in this position. Haha! Thanks for sharing this! So cute to know what’s the position is called! I don’t have cats but I do notice that bread loaf position in my neighbor’s cats. Now I know why they assume that position. I thought they were just trying to be cute. Haha.